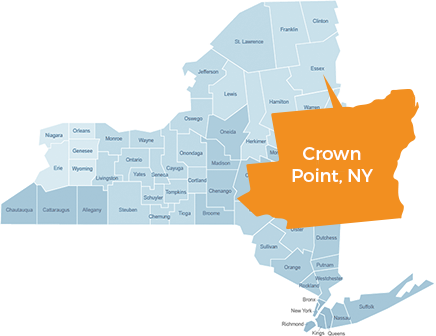 Crown Point Telephone offers local telephone services in the Town of Crown Point, NY. From it’s incorporation as a local telephone company on March 7, 1896 to it’s current role as a telephone provider in the Crown Point NY region, CPTELCO continues its legacy of providing superior products and services to our customers. CPTELCO has provided local telephone service to the Crown Point area for over a century. Through our partnership with Bridgepoint Communications we also offer fast, reliable business and residential broadband. Find local emergency numbers, residential customer rights and responsibilities along with our White Pages Telephone Directory for 555, 585, and 597 exchanges. Crown Point Telephone provides local telephone service within the Essex County area of Crown Point.